← 358 "The Girl Who Slept Too Little"
"Milhouse of Sand and Fog"
The Simpsons sit down on the couch as normal. A TiVo menu pops up, asking the viewer if they’d like to save the recording or delete it. "Delete This Recording" is chosen and the screen goes black. "Milhouse of Sand and Fog" is the third episode of season 17, that originally aired on September 25, 2005. "Milhouse's parents reconcile, but they don't pay attention to him anymore, so he and Bart leave one of Marge's bras on Luann's bed so she thinks Kirk slept with Marge." 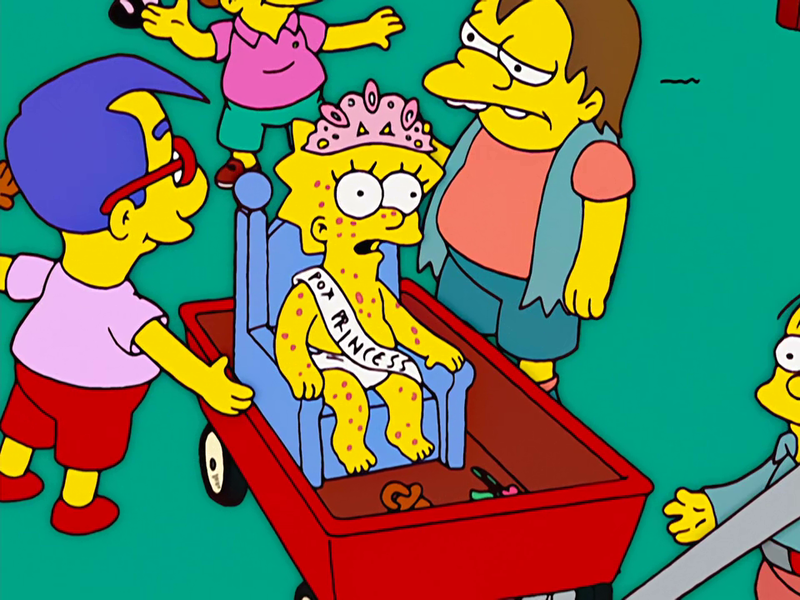 Inspired by Flanders' suggestion of purposely exposing the boys to the chicken pox, Homer invites all the neighborhood kids over to the Simpson house for a "pox party" (at fifteen bucks a head). However, he ends up catching it himself, having no childhood immunity. 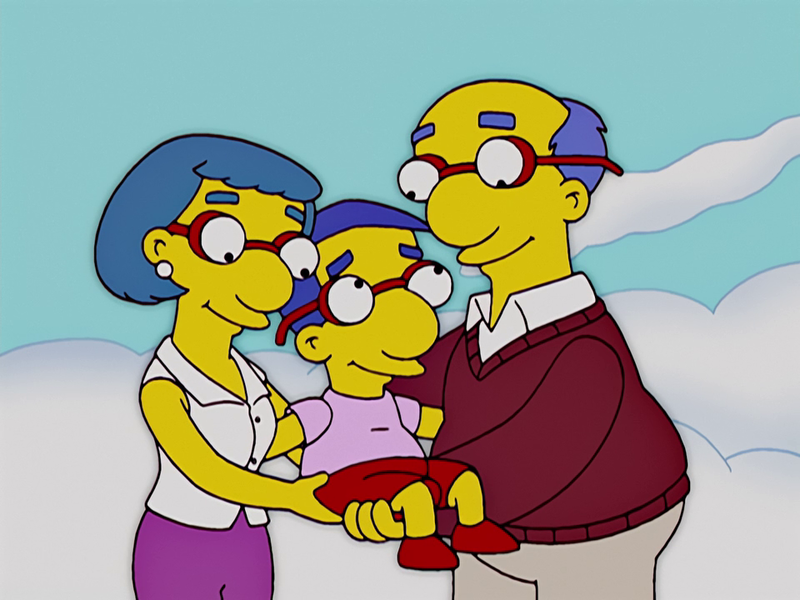 One good thing comes of it, though: Milhouse's folks reconcile. Or so it seems. However, Milhouse feels neglected because his parents aren't fawning over him as they once did, competing for his love. Milhouse schemes to break up his parents again, and enlists both Bart and a plot borrowed from The O.C. Bart grabs one of Marge's bras and the boys leave it conspicuously located in Kirk's bed. Luann thinks Marge is having an affair with her husband, and soon she has Homer questioning his wife's fidelity. An argument ensues, and Bart realizes he may have split up his own parents instead of Milhouse's. 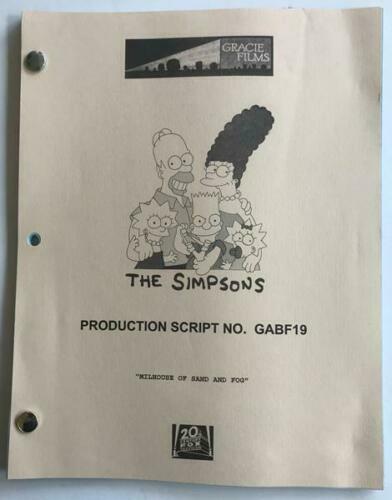 Bart schemes to reunite them by pretending to fall off a cliff into a river, using a dummy—but Milhouse's poor eyesight queers the deal, and Bart ends up really taking the plunge. Homer leaps into the rapids and rescues Bart, and through a little trust, Marge saves them both from going over the falls. The Simpsons reconcile, once safely on the bank. Milhouse, not wishing to live in a world without his best friend, leaps over the cliff. Marge worriedly asks if he can swim. "What do you think?" asks Bart. Modified on July 15, 2017, at 08:37.